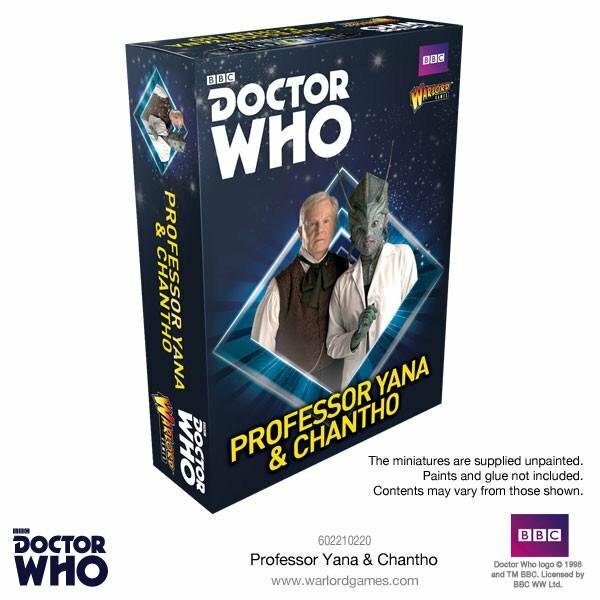 This release features two beautifully sculpted pewter characters from the Series Three story Utopia: Professor Yana, played by Derek Jacobi, and Chantho, played by Chipo Chung. This story reintroduces the Master, one of the Doctor’s oldest and deadliest enemy. Here Derek Jacobi takes on the iconic role, albeit in cleverly disguised form. The TARDIS crew, rejoined by Captain Jack Harkness, travel to Malcassairo in the year 100 trillion. There we are introduced to Professor Yana and his assistant, Malmooth Chantho, who are working to send the last remaining humans to Utopia, the last hope for humankind, in a giant rocket. Their plans are being hampered by the Futurekind, vicious cannibalistic natives of the planet, determined to sabotage their efforts. As the Doctor assists Yana in mending the damaged rocket engine, the professor becomes troubled by a rhythmic drum beat in his head. He explains to the Doctor that he does not know what the beats mean, but that they have been troubling him for as long as he can remember. Martha notices Yana holding a pocket fob watch identical to the one the Doctor possessed in Human Nature/The Family Of Blood, a crucial part of the Chameleon Arch, that could hold the essence of a Time Lord. When the Professor inspects the watch, voices from within tell him to open it, releasing the Master’s essence. The newly regenerated Master dematerialises the TARDIS and leaves the Doctor, Martha and Jack stranded.